Longmont Colorado, a beautiful city with over 1,500 acres of parks and open spaces to explore. With a modern downtown area centered among the great scenery, Longmont has won several national awards as a great place to live. It’s amazing to think that this city houses almost 90,000 people. 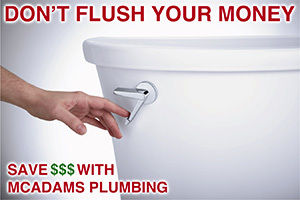 McAdams Plumbing is your top choice for plumbing repair in Longmont. If what you need isn’t on the list, give us a call. 303-465-1900. More than likely we can handle it, but if not, we’ll get you to a trusted company that can. Water leaks can be powerfully destructive. Your best bet, if you have a leak, is to get it taken care of right away. Delaying a leak repair can lead to major repairs to your home or replacement of personal possessions. McAdams Plumbing will track your leak down to the source and ensure it’s fixed right the first time. We’ll talk with you before doing anything, just to make sure you know and are comfortable with what we need to do. The best way to repair a leak is to prevent a leak, and the best way to prevent a leak is with a WaterCop. 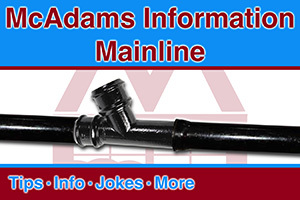 A WaterCop Automatic Water Shut-Off Valve installs on your main incoming water line. Remote sensors are placed around your home once the device is installed. When these sensors come in contact with water they send a signal to the WaterCop unit telling it to shut down all the incoming water. What a great idea! 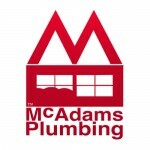 At McAdams Plumbing we hope to earn your trust through honesty and high quality service. If you have any questions or need service, please do not hesitate to call. 303-465-1900.